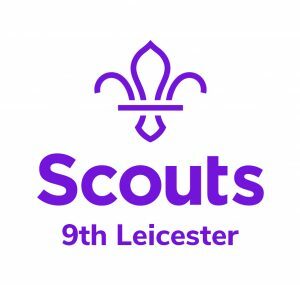 The 9th Leicester Scout Group was formed in 1909 and provides Scouting opportunities for children from the ages of 6 years old up to 25 years old across the South East of Leicester. We are located at Croft Hall, our own scout hut and headquarters, on Stoughton Road, Stoneygate, Leicester. We have been at the these premises since 1931! Click Here for directions. We have provided continuous Scouting (even through the war years) to boys and girls in the local area ever since. The 9th Leicester Scout Group is an ‘open group’, which means we are not sponsored and are not attached to any particular church. Members are encouraged to follow their own faiths and we are lucky enough to have all scout sections and to be able to offer scouting to all ages from 6 yrs plus. As well as Explorer Scouts and Network Members, provided at a District Level. All sections are open to boys and girls of all faiths and cultures. Children with disabilities are also welcome after needs have been discussed with leaders of the relevant section. Meetings are run by warranted, trained leaders who are all DBS’d volunteers. Through the movement’s progressive training scheme, members work towards a variety of badges and awards by having fun and learning to work together.